Elite women get started under ominous skies. Kate Courtney had a blinder early in the race. Neff rode alone from the start loop. 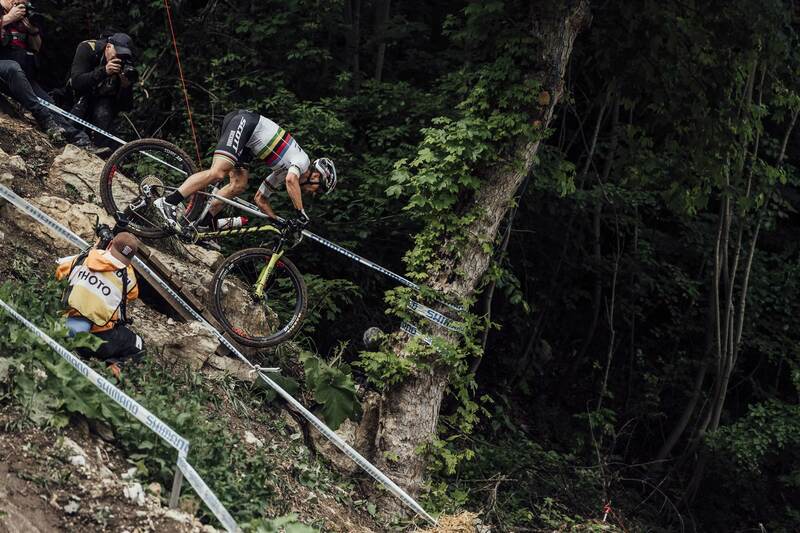 Albstadt drop - super slick! Courtney comes off - many riders took a tumble at some point. 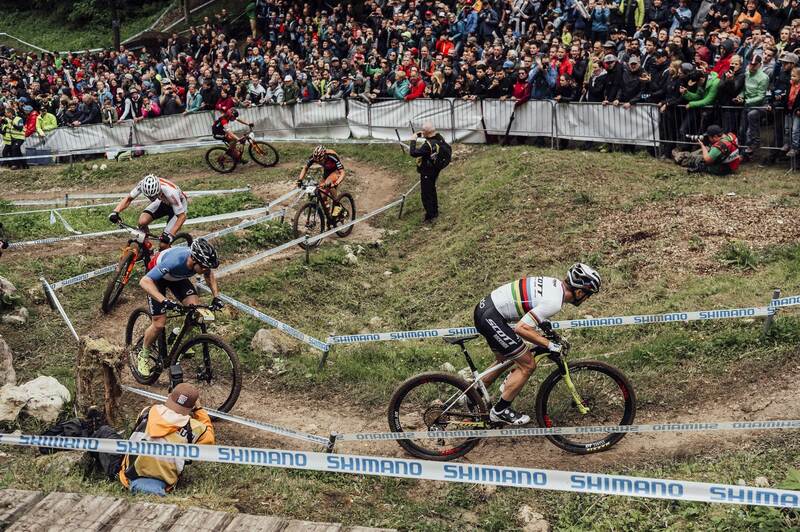 The crowds were thick for the elite men's race! 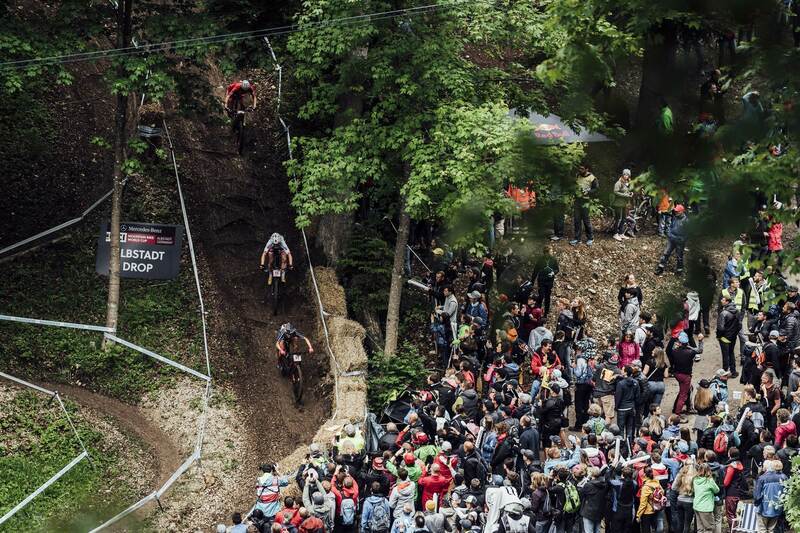 This shows how steep that is! 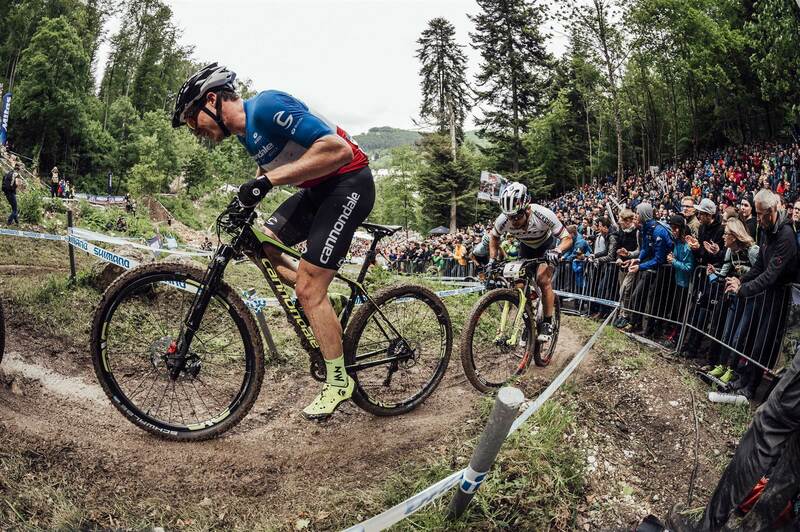 After a couple of months hiatus, the World Cup XCO series fired up again for Albstadt - and what a show! 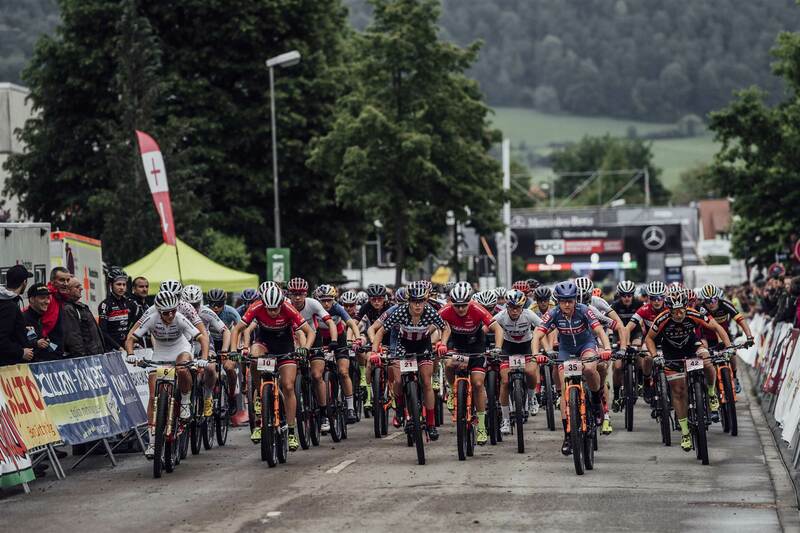 Jolanda Neff and Nino Schurter reestablished themselves as title-contenders at the second round of the Mercedes-Benz XCO UCI Mountain Bike World Cup in Albstadt, Germany. 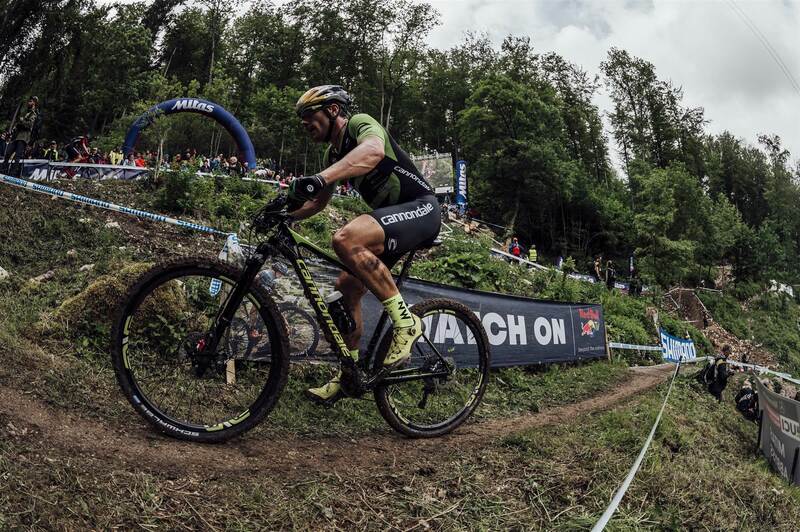 While the opening round of the World Cup in Stellenbosh seems like a long time ago, defeat would have been fresh in the mind for Schurter especially. Having pulled out of the short track on Friday with a mechanical, it was clear the Swiss star would be out to make amends. 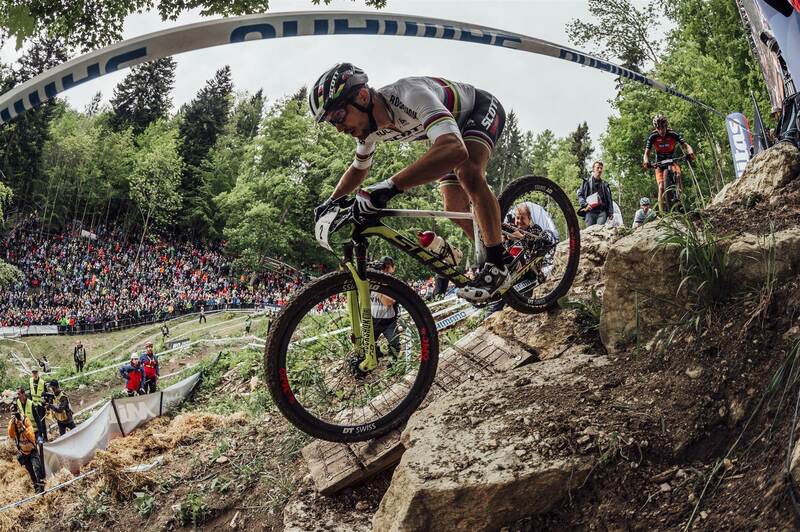 Albstadt in the dry is a fast proposition but in the wet, a different animal emerges. Over the previous days social media had been flooded with images and videos of riders riding in filthy conditions. Some revelled, some were repulsed. Could things improve for race day? In the elite women’s race, most of the pre-race talk surrounded the winner of Friday evening’s Short Course race, Annika Langvad. 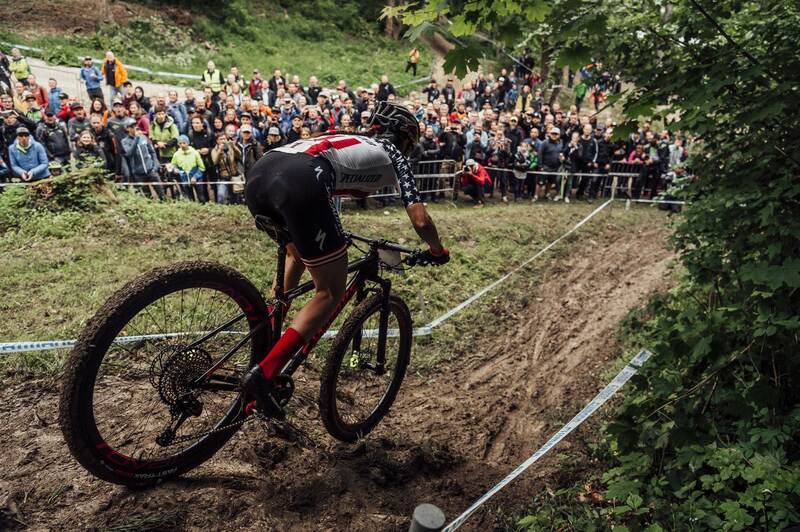 The Dane had won the opening round in Stellenbosch but right from the gun the series leader was in trouble and seemed to be slipping backwards. 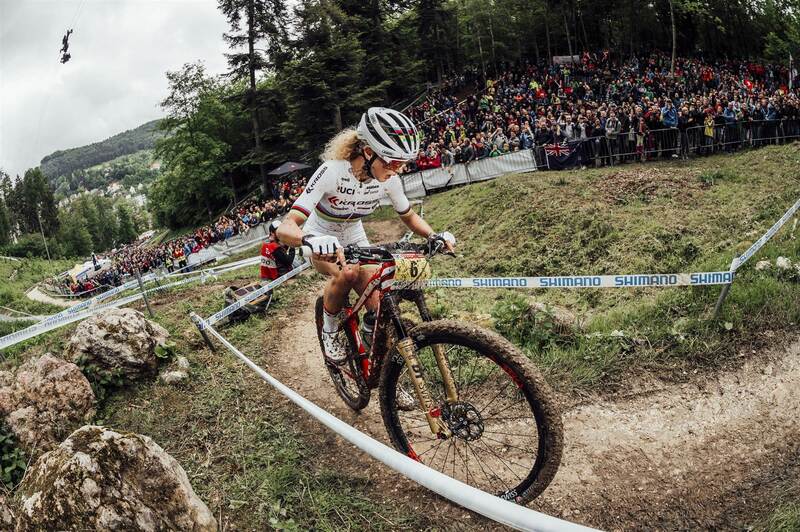 Jolanda Neff’s now trademark start line smile belied the ruthlessness of what was to come. By the end of lap two the technically supreme Swiss had amassed a two minute lead and never looked back. 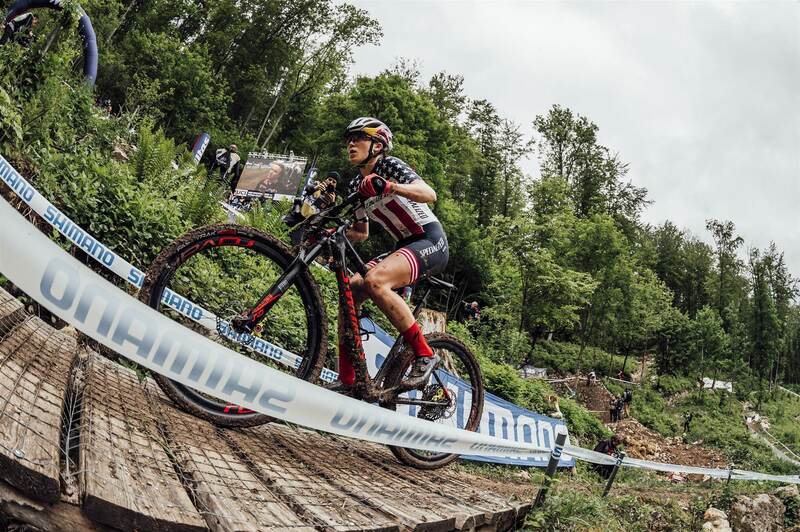 She was visibly faster than everyone on the descents, and had the time to pay attention to keeping her drivetrain clear of mud - a winning formula. Behind Neff, it was anyone's game. As Langvad continued to slide down the field, Kate Courtney and Alessandra Keller moved up. 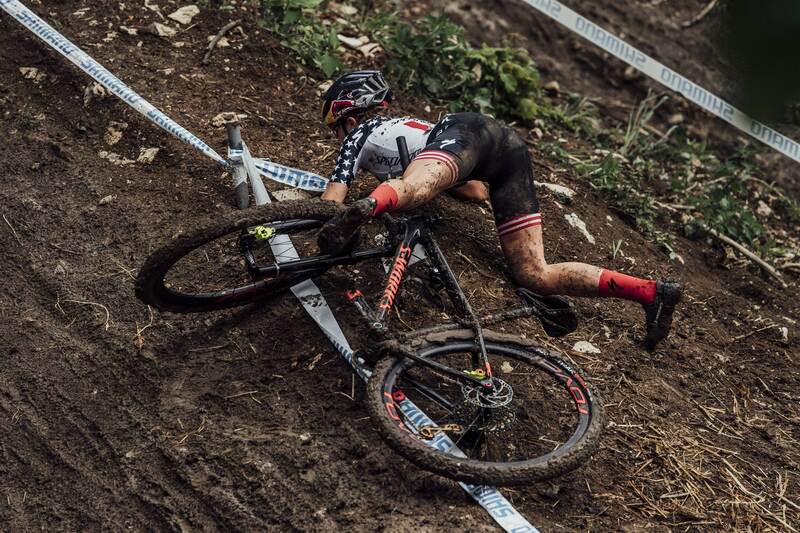 Keller had two big crashes but just kept on getting back up. Courtney slipped back but did finish 10th overall, while Keller was 4th. 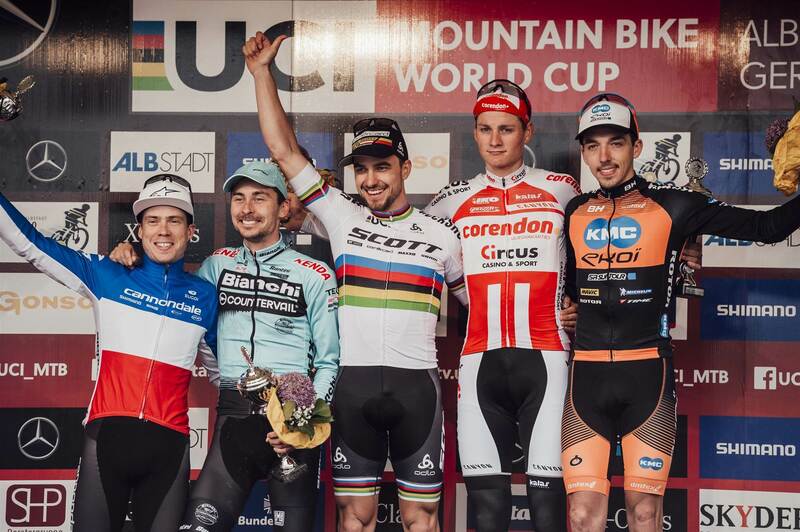 Two strong rides by riders who have stepped into elite from U23 last year. There were big rides too from the reigning overall title holder, Yana Belomoina. Returning to the track where she had taken her first ever victory after missing the first round due to a hip injury, she rode to a superb second place. Holland’s Anne Tauber matched her result in Stellenbosch with another third. 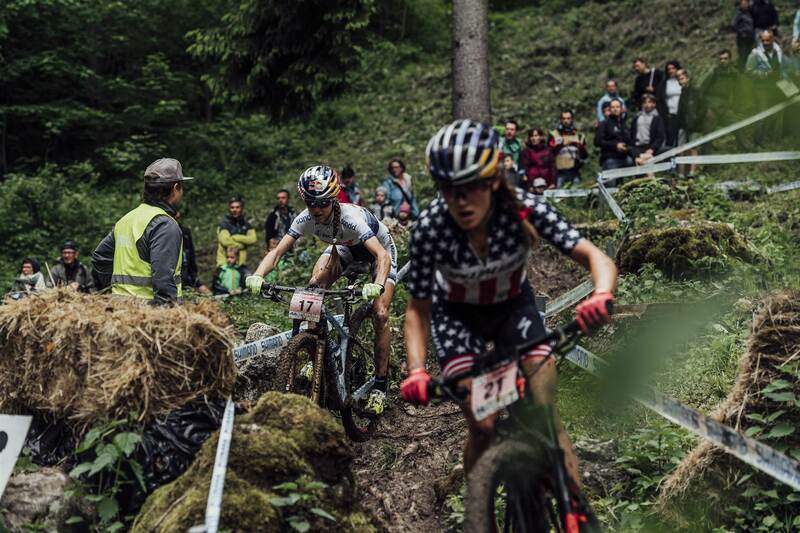 Big rains were promised for the elite men’s race, but they never arrived. Conditions remained tricky however and it felt like the emerging stars of Mathieu Van Der Poeland Samuel Gaze were set to make their presence felt. For Gaze’s Specialized S-Racing however, it was to be a weekend to forget. 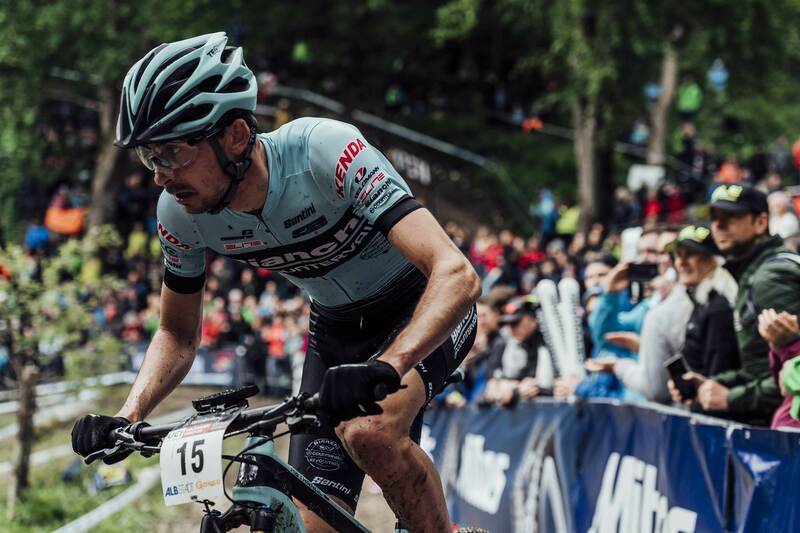 Despite arriving in Germany riding a wave of confidence of the back of some great early season success, first Jaroslav Kulhavy retired with drivetrain issues only for Gaze to retire shortly after. Even when stopping in the pits for a mechanical Gaze was reluctant to get going again - showing signs of being a racer who only fights when on top. 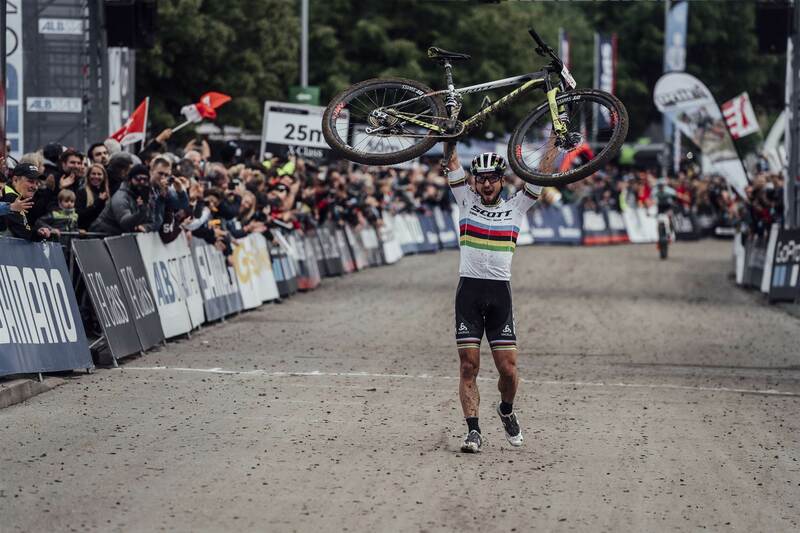 Last season, Schurter had done the impossible and achieved the perfect season but 2018 hadn’t been as kind. 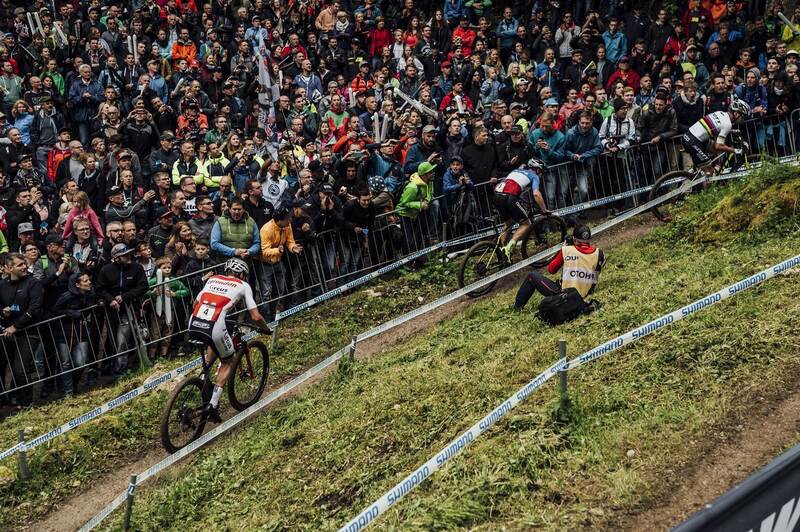 He’d lost out to Gaze in South Africa and a freak mechanical had put him out of the Short Track race at the start of the weekend. Those results relegated him to the third row of the starting grid but the defending champion went from the gun and was at the front before the end of the start loop. 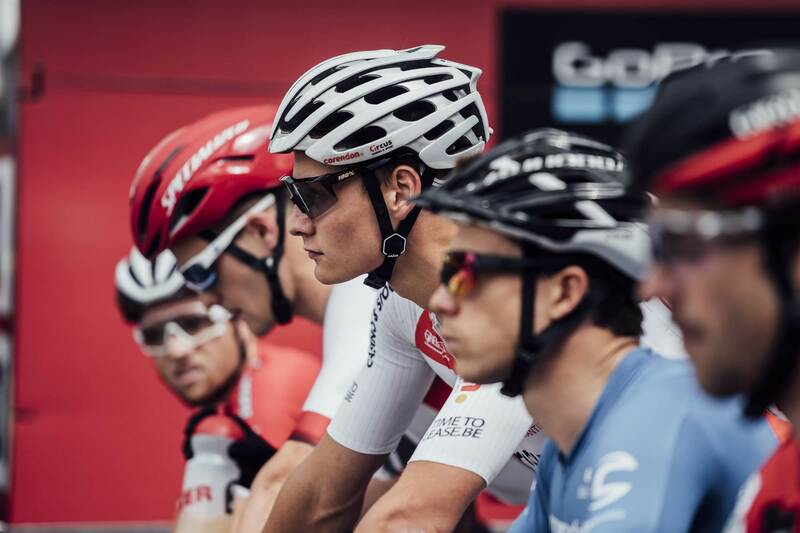 He forged on until only Tempier was left and, clearly not fancying leaving it to a last lap sprint, he pushed hard on to the penultimate to finish on his own. Tempier finished second, with Van Der Poel third, and crossed the line to the Swiss holding his Scott bike proudly aloft - the boss was back. 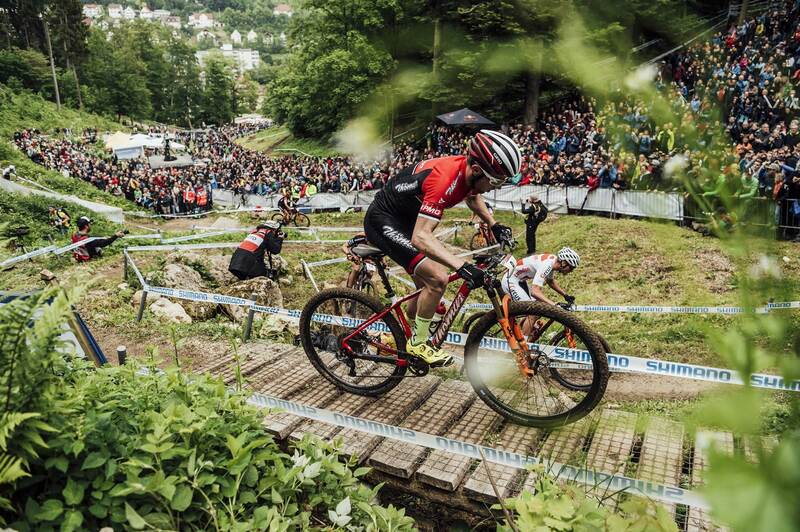 The series continues next weekend in Nové Mesto in the Czech Republic. Langvad and Gaze in World Cup triumph!